Brighten up your room with this stunning large statement clock. 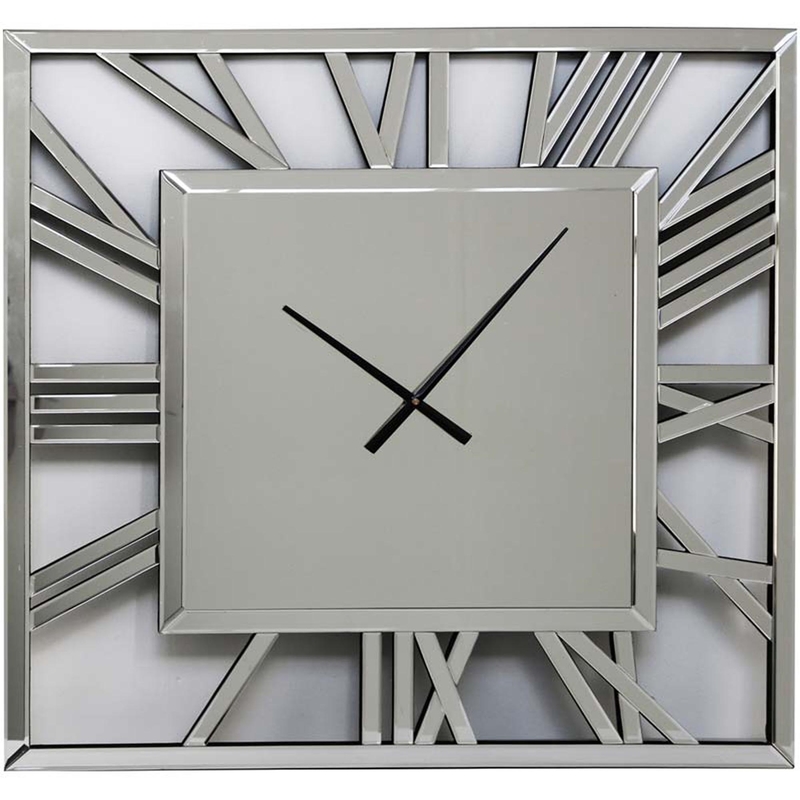 This piece is made from mirrored glass and MDF and the roman numerals are placed around the clock frame, which brings out quite a edgy but very modern look. The clock face has a very simplistic design, so although this clock is very stylish and eye-catching, it is also quite simple and would fit well in any home.